The most awaited crime drama news made our day, we were too excited to watch out bad guys season 2. It working title was 'Bad Guys Evil City' but the title didn't matter all matter for the story and the cast. Kim Moo Yul the tall guy remind us of the bank guy who pooped in the pants in the drama "My Beautiful bride" and in "Il Ji-Mae: The Phantom Thief‎". Although we have seen his movies like "Eungyo" & "Finding Mr. Destiny". Other then Kim Moo Yul the second reason to watch out this drama was Ji Soo. 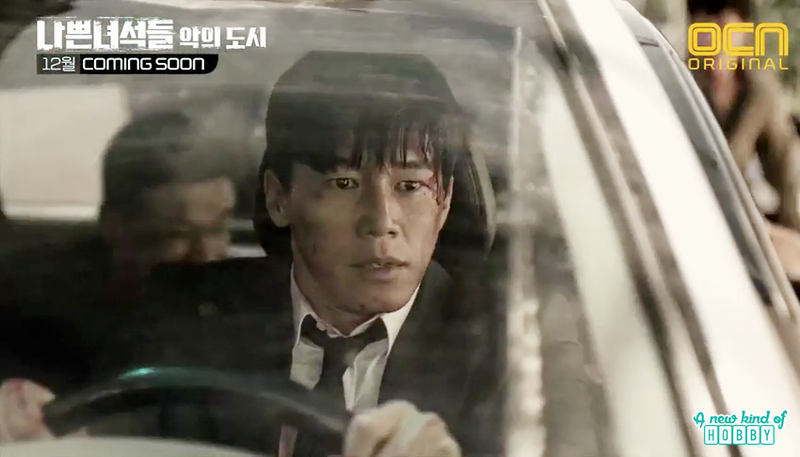 The role he was playing was previously offered to Um Tae-Goo who decline due to health issues. Ji Soo always appears as the second lead and make our heart ache for not getting the heroine. He was the one who made us cry in "Angry Mom" & "Moon Lovers Scarlet Heart ryeo". Then we saw him in To the beautiful You, Page Turner, Doctor's, Fantastic, Weightlifting Fairy Kim Bok Joo and Strong Women Do Bong Soon. Though we won't seeing the cast from season 1 but hope the story for season 2 had a great impact so it doesn't matter about the cast. Watching the trailer we become more excited for the series. The trailer looks good with the appealing story line we wonder what kind of bad guy will gonna appear in it. Who will be the psycho who will act like the gangster and contract killer. Season 1 was too outstanding we hope this season will be amazing one. The trailer looks full of action thriller, suspense and may be some crime hidden behind it couldn't guess if there will be a touch of romantic comedy. Looking forward to watch out bad guys 2 soon on OCN. Stay tuned to find out more about the drama keep visiting a new kid of hobby.